How to Do Business With Roll Forming Machine - ZhangYun Machinery Manufacturing Co.,Ltd. Our world history completely changed with the discovery of precious metals. This discovery made us generate breathtaking infrastructures and heavy machines which have dramatically changed our manufacturing process forever. The development of technology has gone through the procedure of more advanced growing and controlling metal tools in a reliable roll forming machine. It is a kind of metal forming that is considered to be an effective method for meeting the new challenges of metal in the industry. Now we have to realize that our world is now completely dependent on metals in our daily life from kitchen utensils to automobiles. As a result of which it has increased the metal usage as well as the importance of metal work in this era which has never been seen before. Roll forming is known as a popular method which is used to form objects from a metal sheet. There are different rolls attached with roll filing machines in succession to one another and are divided into a set known as stands. The purpose of the stand is to flex the metal completely. Additionally, many stands are needed to have the required result of curvature. The cold roll forming machine is now there to bend the metal gradually to enough pre determined shape and size. The interesting thing is that these forming machines are the set of rollers which are suitable for every shape. One thing you need to know that these machines are not designed for personal use or small scale businesses. You can have but a cold forming machine if you are running a large business house. These machines are made to work in the industries. For instance, if you have a manufacturing factory and you have to produce a specific shape again and again in larger quantities, these Shelf cold roll forming machine can be the best choice. That’s the reason, the big industries these industries always set their rollers before they install the machines. The cold roll forming machine is a great type of equipment, although it might be expensive for you when purchasing. 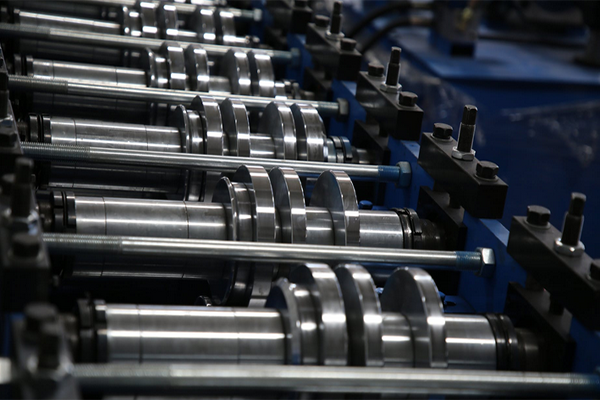 Roll forming machines come with many other advantages including extruding and over braking. These machines are far better to produce more parts with consistency as compared to brake forming. They also help finish many stage operations such as slitting burrs as well as trim scrap. Moreover, it can also perform secondary operations which include different stage operations like punching, notching, as well as post-painting when combined in the roll forming overall procedure. You can prefer prepainted steel for post-painting while metal can be used first before roll forming. If you find the hole pattern closed to the beginning, the part of forming can be pricked. The capacity of fabricating these decorative parts from prepainted, precoated, or pre-plated metal can be a salient feature of cold roll forming machine.